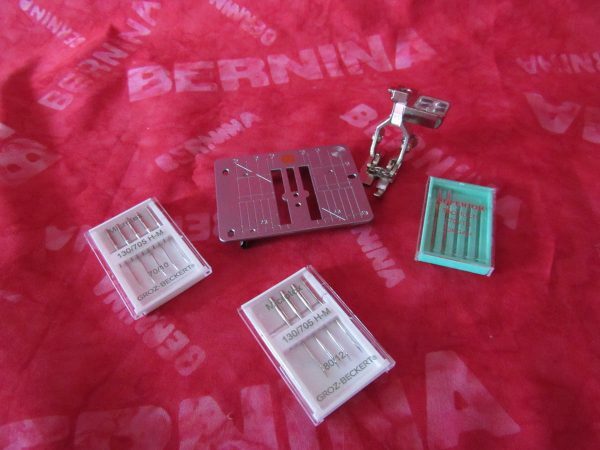 Brand Ambassador, Teri Lucas, of terificreations,shares her top nine tips of how to use the BERNINA Patchwork Foot 97 D.
Use the straight stitch plate with the 97D and any of the patchwork feet. 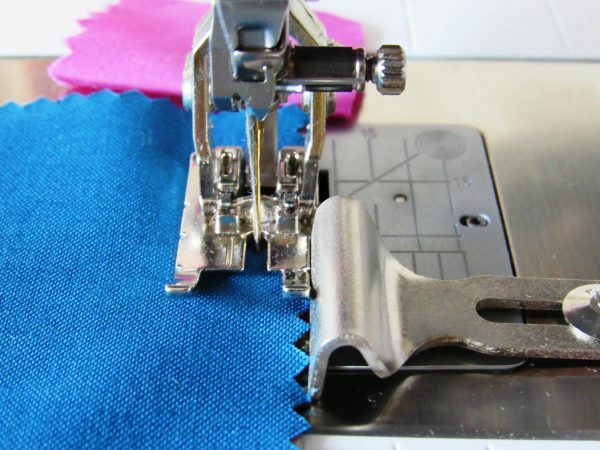 The straight stitch plate prevents the fabric being dragged down into the bobbin area. Use a sharp needle. 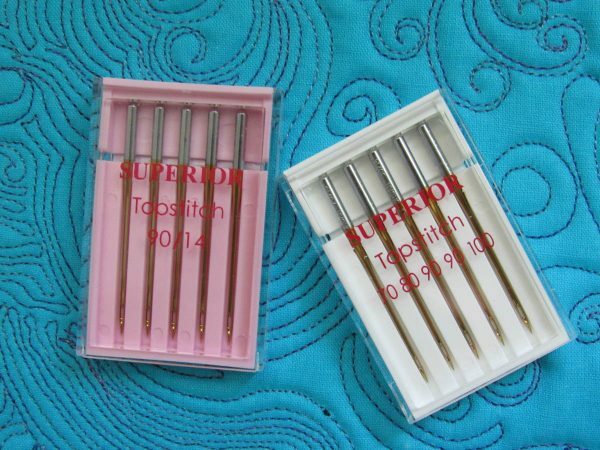 I prefer Top Stitch and Microtex needles. These easily go through the fabric to help create a beautiful stitch. If the needle is dull or the tip is bent you will hear a distinct knocking sound. When using any “D” foot, engage the Dual Feed as it is how they are designed to work. When the Dual Feed is not engaged the fabric will slip and slide around, and throw off the seams. If you are using the 97D without the guide, position yourself over to the right of the needle to better sight the edge of the foot. The patches should line up with the edge of the foot on the right. 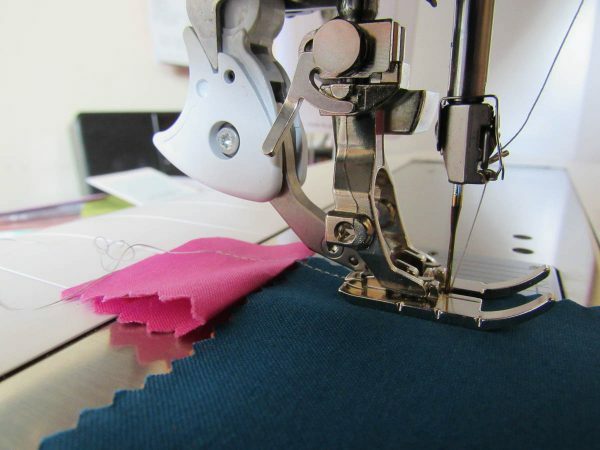 Start stitching slowly until the Dual Feed catches the patchwork or use a “leader” a small scrap of fabric to take the first few stitches. Hold the patchwork from the side, all the way through to the end, this assures the fabric will stay straight. If you’re using the guide this step isn’t necessary. Try using the foot with and without the guide. Each of us sees just a little bit differently. 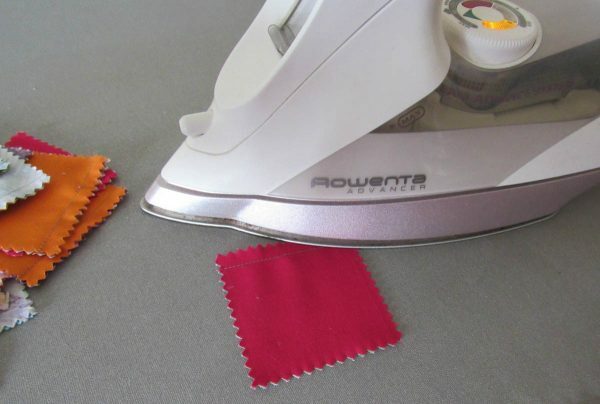 I tend to use the foot without the guide, however I know quilters who prefer it. 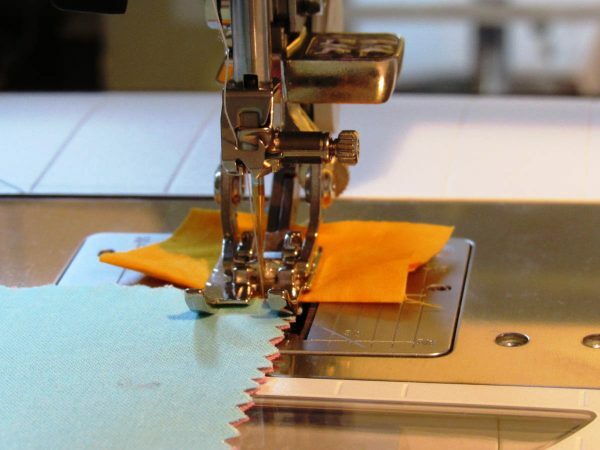 Anything that helps us maintain a good quarter inch seam is a good thing. 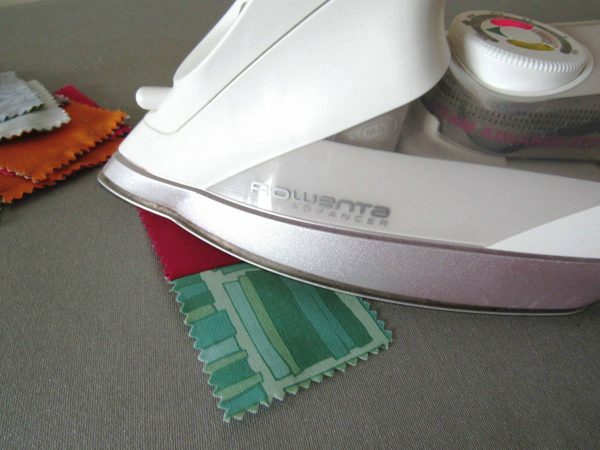 Good pressing goes along with good cutting and good stitching. I press in two steps: 1) press the seam to set it, then 2) press the seam in the direction I want it to go. This is the most important: Have Fun. Thread the machine properly, threading all of the guides. 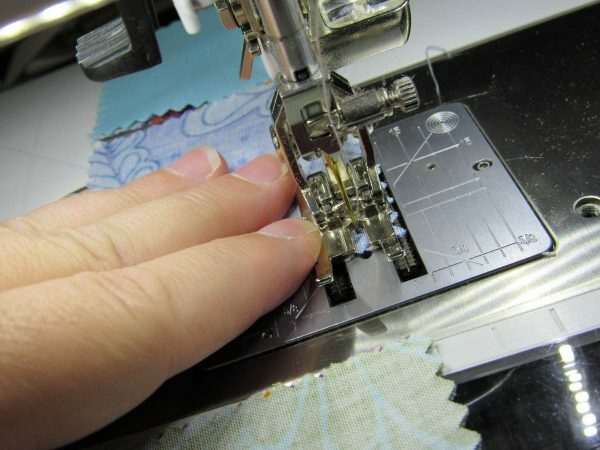 Missing a guide can result in the machine not being able to take a stitch. Oh yes, that’s 10 tips. 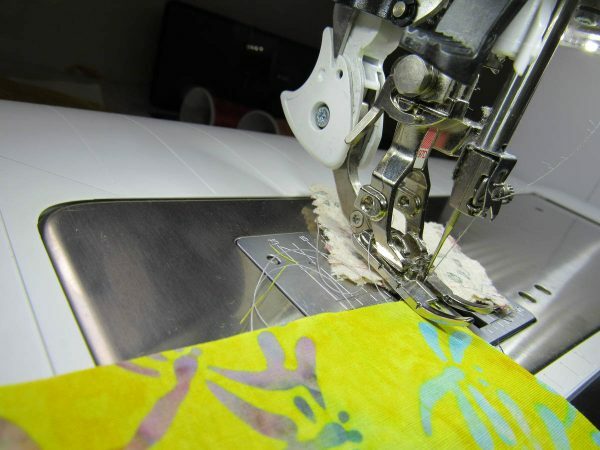 As I was preparing to stitch on another project I had a problem stitching, and soon realized that I’d missed one of the guides in my haste to thread the machine. I ordered a 97D, but decided in the end not to buy it. I have both the 37D and the 57D, and nothing was working to get a decent 1/4″ seam. 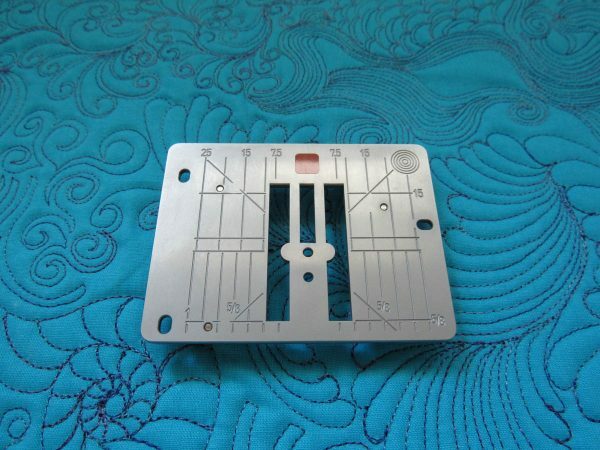 Until…put the 9 mm plate back on, use the 1C foot – *and move the needle position over*. By moving the needle position to the right, you move the fabric so that both feed dogs catch it, ensuring even feed without having to engage the even feed itself. A test seam and a line of masking tape on the machine bed, and you’re set. For really small piecing, I’ll most likely go back and use my Virtuosa, but for most piecing, this works for me.